RSD prides itself on having an inclusive atmosphere where each individual pupil is supported in their learning. The aim is always to remove or minimise barriers and ensure that each pupil has the opportunity to enjoy school and to realise his or her potential. 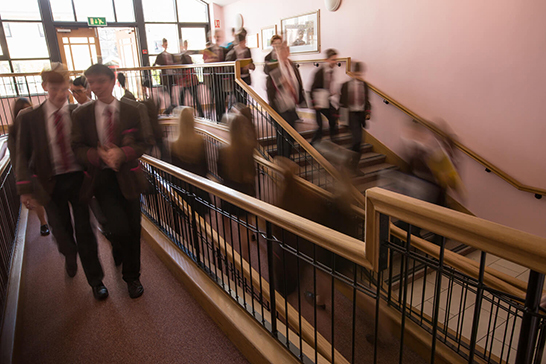 We seek to ensure that the needs of all the pupils with special educational needs and/or a disability will be addressed and provision made available to them throughout their school career. 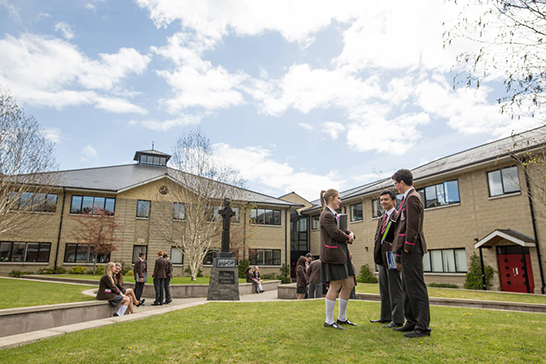 We aim to promote the pastoral, intellectual, social, and physical development of each pupil in a manner which prepares for the opportunities, responsibilities and experiences of adult life. 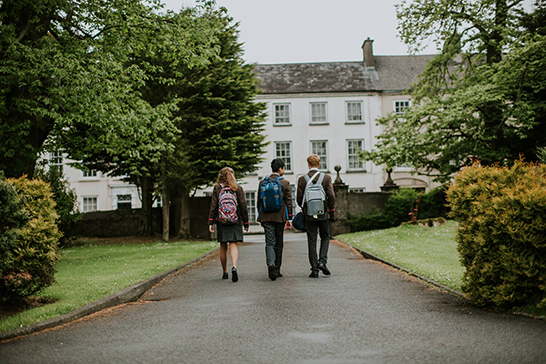 We seek to provide a broad, balanced and relevant education within the structure of the Northern Ireland Curriculum so that the individuality of each pupil is recognised, their potential fulfilled and self-confidence enhanced. The School’s Special Educational Needs Co-ordinator provides Individual Education Plans and, with the team of teaching assistants, helps pupils who have a disability or specific learning need to access the curriculum and school life in general. There is careful integration with day-to-day teaching and extra-curricular life to ensure that all pupils can enjoy school to the full. RSD teachers spend time getting to know pupils and their specific needs and there is continuous training for staff to help them understand those needs and ensure that all pupils with SEN/ Disability feel valued and have a positive self-image by offering curricular, pastoral and extra-curricular experiences and opportunities which develop skills and knowledge and promote success and self-confidence. There is a strong emphasis upon working with parents and all relevant agencies so as to adopt a multi-disciplinary approach and support each pupil’s development towards independence, both in school and at home. RSD also encourages each pupil to contribute in assessing and reviewing the impact of their SEN and the implementation of their IEP to be involved in target setting. There is also a commitment to providing the facilities and resources required for each pupil with a SEN or disability. 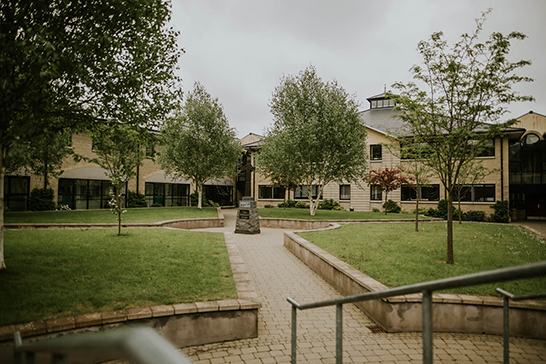 In recent years, for example, RSD has extended wheelchair access at the Main Entrance and the Sports Hall; installed a lift for access to the second floor in the Ranfurly Building; and installed three chair lifts to enable access to older parts of the building. 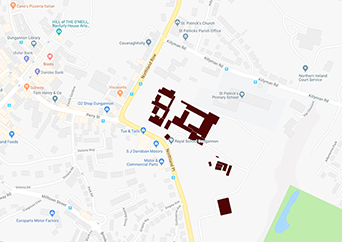 There are toilets with facilities for disabled access situated adjacent to the Sports Hall and the library; and toilet facilities for pupils of restricted height. Facilities for pupils with restricted height/disability exist in Food Technology and Design & Technology where there are adjustable sinks, cookers, and benches. There are also adjustable benches in the Science Department. An ICT lab has been developed on the ground floor and there are currently 12 hi-lo chairs available for use by pupils of restricted height. 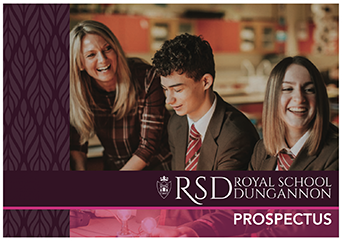 The commitment at RSD is to support pupils with SEN/disability so as to enable full access to the curriculum and the broader aspects of school life, including extra-curricular life and trips. Staff and pupils take great pride in ensuring that everyone in the RSD community is valued and included. For further details of our provision please view our leaflet. 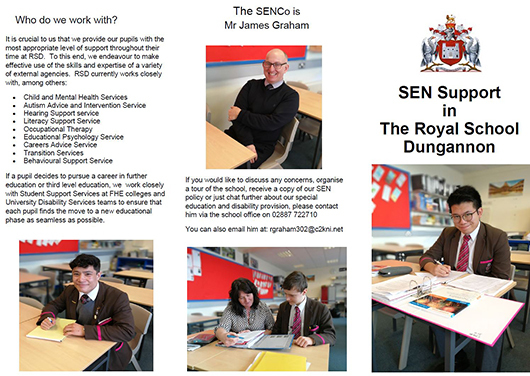 An outline of the SEN provision at RSD.